While Brooks Brothers and J. Press sat back and enjoyed a bump from the reinvigorated prepsters this past year, Paul Stuart wanted more. They have always been a little more “fashion forward” than their American style buddies, so it was only a matter of time before they really began to push their Phineas Cole line. The line expanded and was given its own “Shop-in-Shop” at the Madison Avenue store, which was more than enough to catch our eye. We waited until after Christmas for our sales update for a couple of reasons. First, everyone slashes prices like mad right after the big day, and second, we figured you might have picked up some extra spending money yesterday. So, to start things off, we’ll give you the head’s up on our favorite sale. Paul Stuart just dropped their holiday sale and boy are we happy. Not only are their tons of great Paul Stuart goods that you can pick up, but the Phineas Cole collection is first rate. 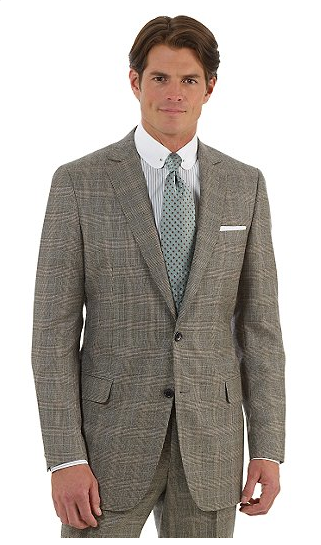 There are a couple pieces worth checking out: the Michael Glen Plaid Suit, Phillip Chalk Stripe Suit, Michael Donegal Tweed Suit (above), Nigel Stripe Dress Shirt, and Astor Twill Check Dress Shirt. 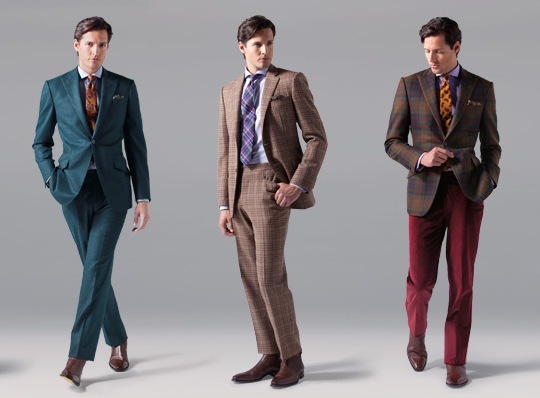 Of All of these, the Donegal Tweed piece reigns supreme. It’s absolutely gorgeous and we love how Phineas Cole knows to keep notch lapels slim despite their love for big sweeping peak lapels. 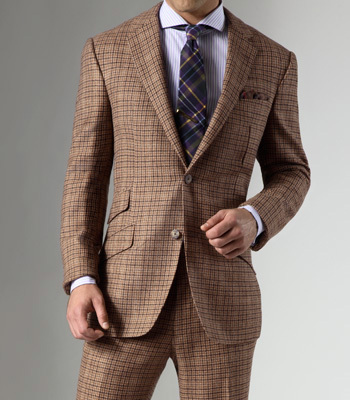 The whole suit will run you 1,097—$800 for just the jacket–which may sound pricey, but we assure you is not a lot to pay for this kind of quality. When you’re sitting by the hearth trying to catch some heat in this blizzard, make sure you look good. 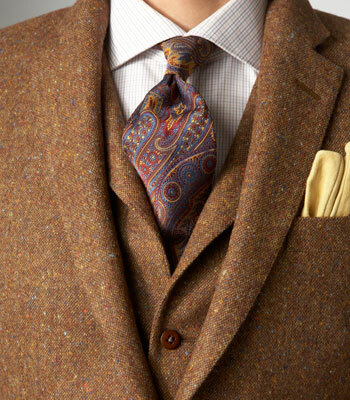 Hone those seasonal colors while you’re at it. If you don’t know much about Phineas Cole it’s time you learned. You know how Brooks Brothers did Black Fleece and Hickey Freeman did Hickey? Well Paul Stuart did Phineas Cole, and boy did they do it well. Sure, Black Fleece and Hickey get a lot of press in the world of fashion, but we think Phineas Cole is every bit as good as these two–and maybe better. 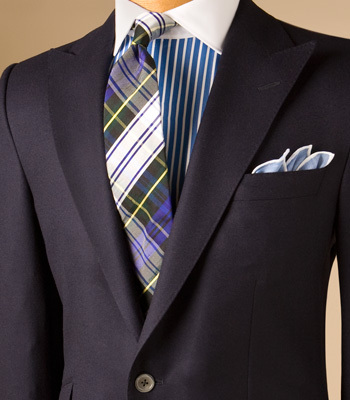 Paul Stuart has always had a more European cut than Brooks Brothers or Hickey Freeman, so it’s no surprise that the Phineas Cole line is edgier than either of the other brands’ offshoots. Phineas Cole suits are great for a guy who is in love with the Tom Ford aesthetic, but doesn’t quite have the resources to make it his. The jackets feature large peak lapels often in bold colors and patterns, similar to Mr. Ford, but with a more natural shoulder. We tried on their fall collection in stores and were really impressed. 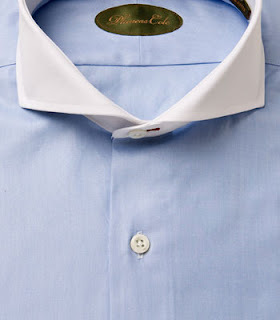 You can find the Phineas Cole line at Paul Stuart locations. We all know about the Italian’s superhuman sense of style, and we’ve tried our best to give you a look that will help you blend in on your vacation to Milan. 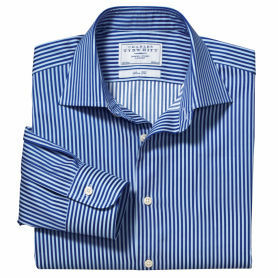 We let you know about the 50% off on Paul Stuart, but what we didn’t fill you in on was the similar saving on their high-end brand Phineas Cole. Phineas Cole is something like a little brother company, similar to Hickey is to Hickey Freeman. Very fashion forward, Phineas only does cutaway collars and peak lapels. Look to Phineas for ultra-tailored clothing that will leave you looking a little more Daniel Craig from Casino Royale than JFK. 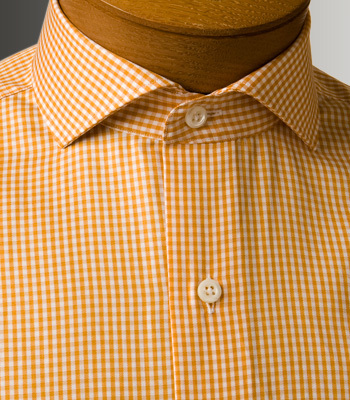 With great dress shirts like the one above, not to mention some solid plaid ties, give Phineas a solid look. Check the sale here.